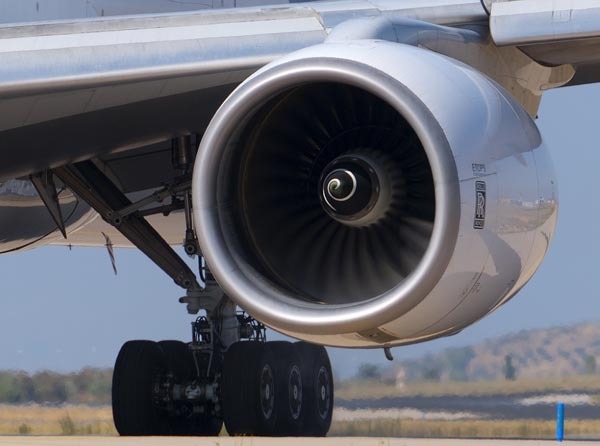 Last month, I raised the issue of the effect of Brexit on manufacturers of aircraft and aviation components who are holders of Production Organisation Approvals (POAs) issued by the UK approval authority - the Civil Aviation Authority (CAA). This came about from my own personal exploration of EU rules relating to aircraft, etc., manufacturers, and I advanced the possibility that, when the UK withdraws from the EU – as from 30 March 2019 – UK-issued approvals will no longer be valid. From that date, I suggested, no manufacturers would be able to export aircraft or components to the EU (or the EEA), until they had sought and gained new approvals direct from the European Aviation Safety Agency (EASA), as is required for production organisations located in third countries. Furthermore, when it comes to the export to other countries such as the US, where the EU has mutual recognition agreements on approvals, the UK would also be unable to export aviation-related goods. This is because market access is conditional on the manufacturers holding valid POAs. On that basis – unless arrangements were made to carry over approvals, by whatever means – business worth £28 billion would be at risk. And, in the event of no carry-over, there could be no exports at all for however long it took for UK manufacturers to gain EASA approvals. Being a mere blog, however – even if our daily readership is now touching the 30,000-mark – such information has been totally disregarded by the politicians and the legacy media. Even if the entire aviation industry is poised to shut down, this isn't news unless it comes from prestigious sources. But then, if the source is prestigious enough, they can make to with garbage and don't need real news. Accuracy is irrelevant as long as the source has a posh handle or a high enough rank within an "acceptable" organisation. No matter what we report, stuff from myself and others like me is invisible. We are totally below the radar. However, in this instance – although I have every confidence in my own work – I did write to EASA asking for confirmation of my assessment. Yesterday, I received a response informing me that, on such matters, I was supposed to refer to my national "competent authority" – the CAA. Despite that, the EASA official then went to answer my questions, which has proved very helpful indeed. In the first instance, I had asked for clarification of the rules relating to applications for approvals, specifically the criteria for the choice of approval authority. Under what circumstances, I wanted to know, is a Production Organisation required to seek approval from an NAA and when does EASA do the approval? It turns out that, except in the exceptional circumstances of Airbus, which has multiple locations in Europe and elsewhere, the deciding criterion is the principal place of business (PPB). Where companies have their PPB located an EU Member States, they come under the responsibility of their National Aviation Authority (NAA). Otherwise EASA is the competent authority. As to Brexit, I asked specifically whether the POAs awarded by the UK NAA (the CAA) would remain valid after we had left. The response was candid. At this stage, the official said, we don't know. It depends on the scenario that will be agreed between the EU and the UK. However, in case of a "hard Brexit", it is the case that POAs issued by the CAA will not be recognised. "UK companies", I was told, "will have to apply for EASA POA to do business with Europe". In case of a soft Brexit (most wanted for everybody), there are several possibilities. The UK could negotiate "a situation similar to the situation of Switzerland or Lichtenstein" where approvals are recognised "as they are somehow assimilated in the European System". So there it is. Most definitely with a hard Brexit – and in any event where alternative arrangements are not negotiated and agreed – there will be an interruption in supplies from UK manufacturers to EU and other aircraft users. That will apply to the Rolls-Royce engine makers, to Bombardier – Northern Ireland's biggest employer – and a host of other enterprises. How long the break will be, there is no way of knowing. One can only suppose that if relations with the EU are acrimonious, then EASA will not be too keen to hurry through the new approvals. On the other hand, if the reapplications are treated as simply an administrative tidying up exercise, new approvals could be processed within days. That notwithstanding, I have not seen any public representations on this issue from the industry or its representatives. Those affected need to be aware and also need to be lobbying government to ensure the necessary measure are taken to ensure continuity. One assumes also, that suppliers will be keeping up stock levels in their European depots, and warning their European stockholders to do likewise. That way, they should be able to fulfil orders without calling for supplies direct from the UK. With luck and good management, there should then be no serious adverse effects from what is hopefully a short break before approvals are regularised at an EASA level. This is but one of those issues, however, which emerges from the woodwork – an unintended and largely unrecognised consequences of Brexit. And, possibly, the greatest danger is that not all the threats are recognised in time, and we lose trading rights or market access simply because no one realised that there was a problem, or took the necessary action in time. One such problem falling into this category might be the Third Country Operator (TCO) approval, which must be carried by any foreign airline which intends to operate within EEA airspace – about which I wrote at the beginning of November. Also issued by EASA, as it stands UK-registered airlines do not need TCOs because the UK is an EU Member State. But, on Brexit, we have the familiar situation where the UK acquires the status of "third country". Its airlines must then respond to the requirements for third country operators. The ironic thing here (if "ironic" is the appropriate word), is that airlines cannot apply for TCOs until the UK becomes a third country. That doesn't happen until we leave the EU. And, once again, there is the possibility of negotiating continuity agreements, but only if the issues are recognised in time and the appropriate measures are taken. It is here, though, that there is some cause for concern, In front of the House of Lords EU Internal Market Sub-Committee yesterday, we had civil aviation representatives in the form of Tim Alderslade, from Airlines UK, Karen Dee of the Airport Operators Association, and Dr Barry Humphreys, from his consultancy, BKH Aviation. From Alderslade - to an extent supported by the other two - we had a "confident" appraisal. The industry took the view that aviation was so important to the economies of the UK and the rest of the EU, that neither our government nor the EU would want to see any interruption in services. Thus the argument went, that because no one wanted disruption, there wasn't going to be any. The only slightly cautious note came from Dr Humphreys. After most of the discussion had been on market access, EASA was briefly mentioned, whence he said: "If we don't get the safety regulation right, there will be no air services". And indeed, that is the case. If UK airlines don't hold valid TCOs, they will not be able to operate in Europe. Here, the crucial point is that TCOs will not be issued automatically. There must be special arrangements made to ensure cover from day one of Brexit. And, for the moment, no one even seems to recognise that there is a problem. Even if the market access issues are resolved, airlines could end up grounded by default. Even then, the market access issues have not been resolved. Despite the optimism, the necessary negotiations have not even started. And although The Times yesterday was reporting that the UK was close to an Irish border deal, with Brussels supposedly ready to speed up approval for a Brexit transition plan, there is nothing in writing that could be regarded as bankable. However, for every action, there is an equal and opposite reaction. As fast as the government comes up with proposals for the Irish border, the DUP knocks them down. Nevertheless, The Times tells us that "technical work" has begun to ensure the continuation of international treaties signed by the EU, such as those covering aviation, for Britain during the transition. That, in a limited way, is encouraging, but there is no hint as to the extent of the "technical work" that must be completed before EU-UK relations are normalised. This tells you that the optimism is unwarranted. With every week that passes, new "wrinkles" emerge, and we find more and more things which need to be done before trade can function properly. Even if we had a handle on all the issues – and that is by no means certain – there is no evidence that our government has the capacity or the understanding to deal with them. From the performance on Wednesday of Robin Walker, and some of the officials and later witnesses to the Exiting the European Union Committee, we cannot even have confidence that all the important issues have been identified – much less understood. But, if we slew off the optimism, for civil aviation – and its manufacturing arm – the car manufacturing industry, the chemical and pharmaceutical industries, and many more, the default position is that their external/export operations cease to function on Brexit. Thus, we need to hear a little less of people's optimism about how things will be alright on the night, and a lot more of the specifics of how we are going to avoid shutting down vital sectors of our economy, where shut-down is the default value. There may be little which cannot be fixed, but nothing gets fixed unless somebody fixes it. The world doesn't run on wishful thinking, neither does the UK economy and nor will Brexit.